OVR'S Marietta House-1920's Farm House w/ Scenic Views of Sugarloaf Mountain! Property 2: OVR'S Marietta House-1920's Farm House w/ Scenic Views of Sugarloaf Mountain! Heart Of Ohiopyle Vacation House, Located within the town of Ohiopyle. Property 6: Heart Of Ohiopyle Vacation House, Located within the town of Ohiopyle. Charming House between Wisp and Seven Springs and near Nemacolin Resort. Property 15: Charming House between Wisp and Seven Springs and near Nemacolin Resort. Beautiful Mountain Cabin, Now available! Property 17: Beautiful Mountain Cabin, Now available! HUGE 9 bedroom home with amazing panoramic mountain views, pool & hot tub! Property 21: HUGE 9 bedroom home with amazing panoramic mountain views, pool & hot tub! OVR's Chief Nemacolin's Lodge! 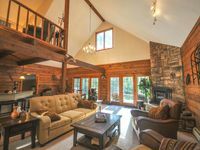 Sleeps 14, on Stony Fork Creek! Hot Tub! Property 22: OVR's Chief Nemacolin's Lodge! Sleeps 14, on Stony Fork Creek! Hot Tub! OVR's Laurel View Retreat-The most spectacular view awaits you! BEST SELLER!! Property 23: OVR's Laurel View Retreat-The most spectacular view awaits you! BEST SELLER!! OVR's Martha's Retreat-Cozy retreat w/2 homes,hot tub &pool! Min to Ohiopyle! 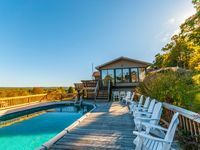 Property 28: OVR's Martha's Retreat-Cozy retreat w/2 homes,hot tub &pool! Min to Ohiopyle! Beautiful porch view for just about anything you desire! Property 29: Beautiful porch view for just about anything you desire! OVR's Lodge on Stony Creek! Warm and authentic MOUNTAIN LODGE! Hot Tub! Property 37: OVR's Lodge on Stony Creek! Warm and authentic MOUNTAIN LODGE! Hot Tub! Rating Details: The property manager was very helpful. The vacation rental was spotless. I was very happy with the location. I was more than satisfied with the condition of the vacation rental. Overall, I recommend this vacation rental. Reviewer Comments: Very nice place all the guys thought the same, just a nice place to hook up with friends who are like brothers. We all just had one bad comment about the place and that was there weren't any hand rails on the steps to the bottom room and off the deck ? not sure if that can be fixed by the home owner but we just thought it wasn't safe ! Other than that we thought it was a cool place and we lucked out with the weather ! Rating Details: The property manager was very helpful. The vacation rental was spotless. I was very happy with the location. I was more than satisfied with the condition of the vacation rental. Overall, I recommend this vacation rental. Reviewer Comments: Property lived up to our expectations, it was very clean and spacious. The views from the property are awesome. We were the group of 20 people and none had any issues. Mountain View Lodge have ample space in common areas and plenty of beds. No hassles faced.